In New Orleans, parades start early in January in many different neighbourhoods. The biggest parades, with the most dramatic floats, usually take place during the weekends. Each parade is put on by a different Krewe and has a different theme. A Krewe is an organization of people who host a specific Mardi Gras event. There are more than 70 Krewes in New Orleans! 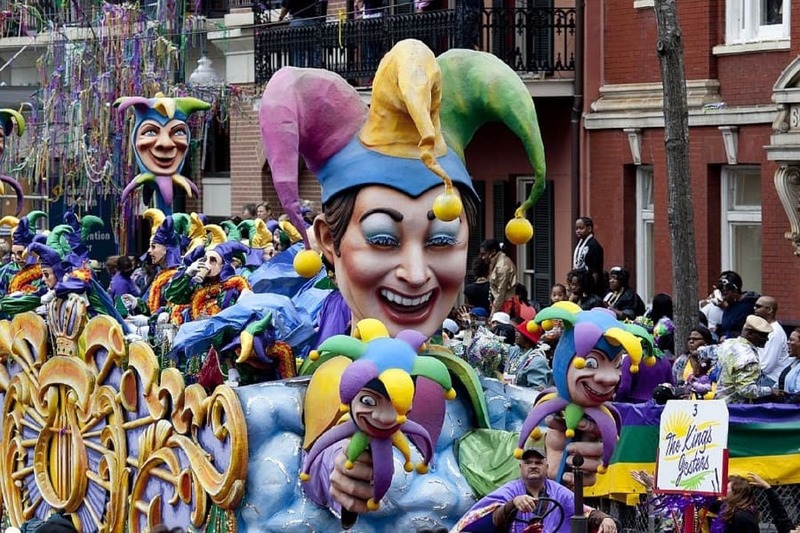 You can learn about all of the different Krewes and parades from Mardi Gras New Orleans. You should start your research here when planning your trip to make sure you’re going to be in New Orleans when the parades you want to see are scheduled. The Krewe of Rex is one of the featured Krewes and is where many of the traditions of Mardi Gras come from, including the traditional gold, green and purple colors. Children might enjoy the Krewe of Chewbaccus Sci-fi-themed parade or the Krewe of Little Rascals flamboyant themed parade. Your next stop, if you’re planning a family visit to New Orleans, is NewOrleansKids.com. This website is a fantastic resource for families with advice on which hotels are the best for families, which restaurants are kid friendly and tips for fun free things to do during your visit. Mardi Gras can be safe and fun for kids too! Hotels book up far in advance so it’s best to make a reservation early to make sure you find a hotel close to the parade route. 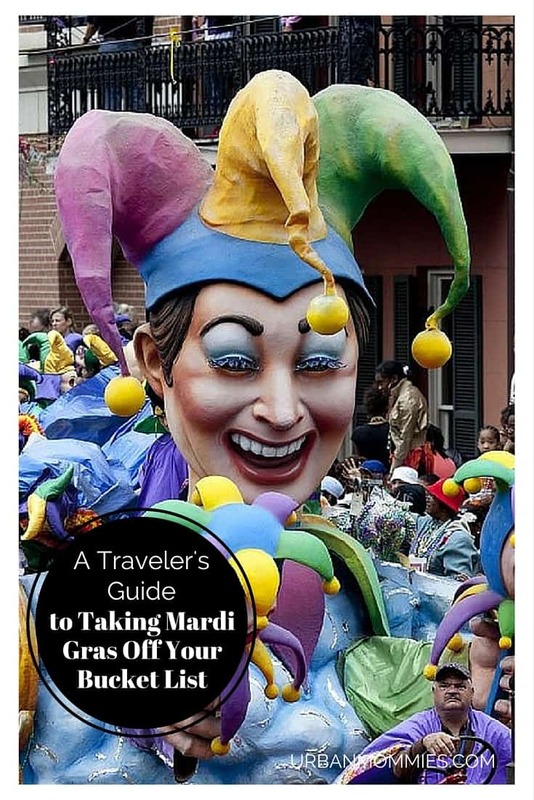 Finally, the New Orleans Visitor and Convention Bureau also has some great ideas for families visiting during Mardi Gras. Two great spots to check out are the Mardi Gras exhibit at the Louisiana State Museum and Blaine Kern’s Mardi Gras World, where you can learn more about the behind the scenes planning that goes into the parades and floats. One important thing to note: If you’re attending with children, don’t go to the French Quarter during Mardi Gras. 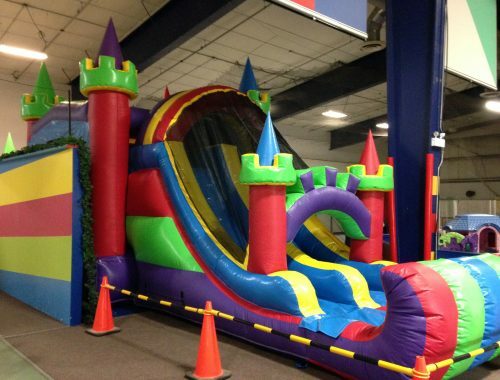 It’s not child friendly. Book your hotel rooms as soon as possible. August is the recommended time to book a hotel. Book a hotel as close to the parade route as possible. Many roads are closed to vehicles during parade times. Plan ahead so you know when bus/streetcar routes are scheduled during your visit and during a parade. Don’t be late to your parade. The sidelines will fill up quickly and you may not get have a good view. If you can, bring portable chairs or blankets to sit on. Bring an extra bag to carry doubloons and beads. Don’t run out into the street. Be respectful of police. They have huge crowds to deal with. If they ask you to move, please do. Plan your meals ahead and take snacks or a picnic lunch with you to the parade. Do dress in costume and have fun!